A huge, perfectly round stone sphere has been discovered in a forest in Bosnia. 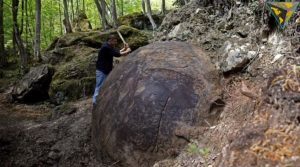 It is one of several such spheres found in the area, and it is also the largest. Its finder claims that it was created by an advanced civilization from ancient times. 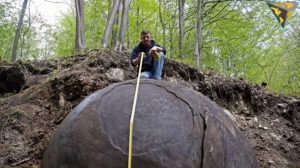 A massive stone ball was discovered in a Bosnian forest by archaeologist Sam Osmanagić, near the town of Zavidovici. The sphere has a radius of around 3 meters, and has an unusually high iron content. Osmanagić estimates its weight to be around 60,000 pounds (approx. 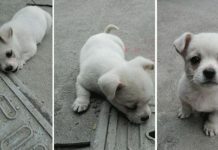 27,216 kg). Indeed, it is not the only one. 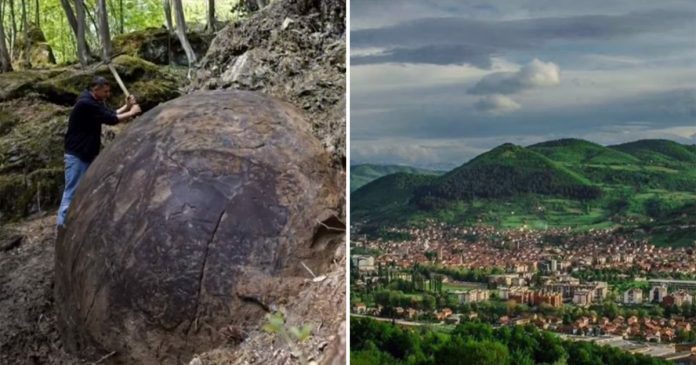 Osmanagić believes that the giant sphere was constructed by humans and that it could prove the existence of an ancient, advanced civilization from the distant past. Osmanagić stated, as reported by the Bosnian Pyramid of the Sun Foundation: “First, it would be another proof that Southern Europe, Balkan and Bosnia in particular, were home for advanced civilizations from distant past and we have no written records about them. 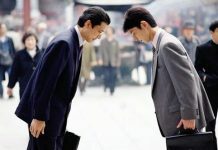 “Secondly, they had high technology, different than ours. Finally, they new the power of geometrical shapes, because the sphere is one of the most powerful shapes along with pyramidal and conical shapes. 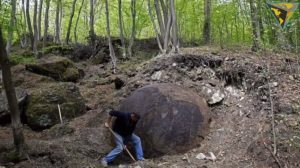 Although Dr. Osmanagić receives support and funding for excavations from the Bosnian government and is even a sort of celebrity in the area, he doesn’t lack critics of his work. 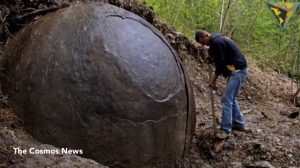 Mandy Edwards from the University of Manchester’s School of Earth believes that the stone could be a result of a phenomenon called “concretion,” where a compact rock mass, often spherical, forms due to precipitation of natural mineral cement within the spaces between sediment grains. 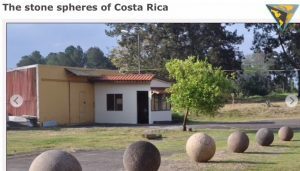 Interestingly, similar spheres are to be found in Costa Rica, though it is not known whether they are in any way linked to the Bosnian spheres. Finding similar spheres on the other side of the world only increases the wonder inspired by such objects. Could the spheres really be left over from an ancient civilization we know nothing of? Or are they a product of a natural process? 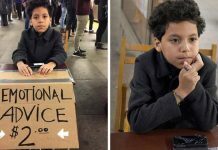 Let us know your thoughts in the comment section! 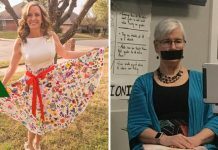 Next article275lb woman decided to lose more than half of her weight—now, a gorgeous model and coach!